Statistics indicate a large overall increase in criminals that burglarize homes. Sociologists claim that part of that increase is due to the state of the economy. It is believed that those types of crimes will continue to increase over the next several years, even after the economy begins a slow recovery. It is commonly said that a burglary takes place in the United States every thirteen seconds. However, recent trends suggest that criminals burglarize homes even more frequently than that. In fact, statistics indicate that many people do not report burglaries because it is commonly believed that most go unsolved and that homeowners will not be able to recover any lost property. However, a burglar will often return to residences that he or she has previously burglarized. However, the burglar often waits quite some time before doing so. They return because they are familiar with the type of valuables a family will have and with the structure itself. This provides an easier opportunity to burglarize the same home. It is vital that homeowners increase and vary security on a frequent basis in order to avoid potential criminals from figuring out the best manner to burglarize that security system. Homeowners that have been burglarized should be sure that they update each and every aspect of their security after the crime has taken place. It is estimated that billions of dollars are lost nationwide simply due to burglaries, and often times those criminals return to the same structures. In addition, homes without alarm systems are almost three times more likely to be burglarized than homes that have active alarm systems in place. On average, those homeowners lose at least two thousand dollars worth of valuables, in addition to property damage, when a criminal targets that home to burglarize. 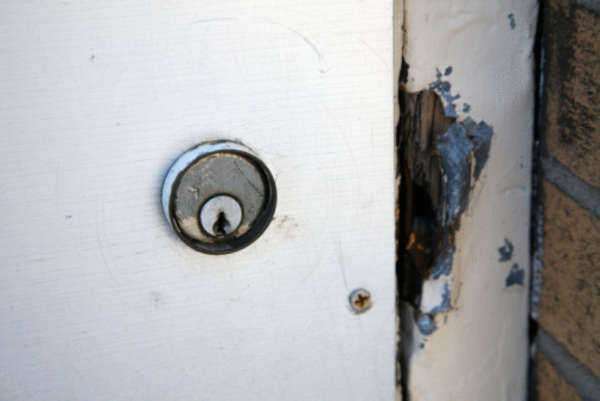 In fact, burglars often cause extensive property damage when breaking and entering. They will rip apart rooms searching for hidden valuables, even tearing apart furniture if they believe they may find valuables inside. The property damage can add considerably to the cost of replacing valuables. It is also a common misconception that most burglaries take place at night. In reality, most burglaries take place in the morning when most homeowners are expected to be away from their residences. It is estimated that one in five homes will be burglarized every year and more than a third of those will take place during the day. A burglar will look for an easy target. The best way for homeowners to avoid becoming a statistic is to install alarms and take other safety precautions. Simply installing an alarm greatly reduces the chance that a burglar will select that home. In addition, homeowners can eliminate easy hiding places for a burglar, reducing their chances of burglary even more. If homeowners do suffer a loss, they should take extra precautions to avoid becoming a target again in the future.